On June 25, many music fans all over the world celebrate the first anniversary since the death of the King of Pop, Michael Jackson. The singer’s die-hard fans say that their idol staged his death to escape from public attention and avoid the multi-million debt problem. This is a just a fantasy (most likely), although many of those, who were close to the musician, knew that the dead Michael Jackson cost a lot more than the living one. Many fans still believe that the legendary singer is alive. They take this rumor as a straw that they can catch. Some recognized him on a photo depicting a man wearing a red sweater and hiding behind a police man. 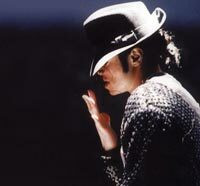 Those who want to believe it, simply believe it, but it is obvious that the death of such a huge public persona as Michael Jackson could not but generate countless rumors. One of the basic rumors that speak for the mystification of Michael’s death is the fact that he managed to increase his fortune many times. When he died, the King of Pop was not really the king: he was not on top in the music world and had $400-million debts. The singer hoped to repay his debts with the help of live shows, but then he realized that he would not be physically able to play 50 gigs that were announced in London. That is why, he supposedly decided to stage his death. Also read: Michael Jackson was planning his death? All of that is just a myth. However, one may say for sure that Michael was perfectly prepared for his death, or that someone prepared him for that perfectly. Let’s take his will, which angered many of his relatives. In accordance with the document made in 2002, his mother Katherine Jackson received 40 percent of the singer’s fortune. Another 40 percent was given to his children, and the remaining 20% was meant for charity. The children will not receive millions of dollars at once. When coming of age, they will be able to appoint fund managers. When turning 30, the heirs will have a right to spend one-third of the inherited amount, and then a half – when turning 35. The heir obtains full ownership of the inherited funds at age 40. Whoever prompted such a solution to Michael was a wise person: his children will be financially secure throughout their lives. When alive, Michael Jackson was known not only for his music, but also for his wasteful spending. He could spend tens of thousands of dollars in one day of shopping. He would spend much more on children’s toys, he bought his Neverland ranch for $19.5 million and then invested $30 million more in it to turn it into a theme park. Russia Today: 'Who Is It' next to Lenin? The child molestation scandal destroyed his concert activities, although the singer did not want to stop spending his money. However, his life was not just about spending cash. A closer look at his financial history will show that he could make lucrative deals to take care of the future, the future of his children, first and foremost. For example, in 1985, he paid $47.5 million for The Beatles songs. In 1995, he sold a half of ATV company, which owned the catalogue, to Sony. It is worthy of note that the deal was arranged by John Branca – the lawyer who is currently in charge of Jackson’s property. His death enriched him more than his life did. In just one year after his death, the late singer’s income grew by $1 billion. A part of the income was immediately used to repay Michael’s debts. Michael Jackson’s album sales soared after his death: about 33 million albums were sold worldwide yielding $363-429 million. Song downloads brought $34 million. His “This Is It” documentary grossed $72 million in the States and $188 in the rest of the world. What it more, many people preferred not to return the tickets which they bought to see his farewell live shows, but decided to keep them for memory. The might-have-been show has therefore brought the profit of $6.5 million. Sony Music Entertainment will be rereleasing Michael Jackson’s ten albums before 2017. His 1979 album Off The Wall is expected to be rereleased in November. The deal has returned the dividend of $125 million. In Moscow, night clubs and concert arenas decided not to take any actions in memory of Michael Jackson. His Russian fans did not give up, though. Larisa Krasnoshek managed to unite the members of several Moscow fan clubs and their followers in St. Petersburg. MJ fans from St. Petersburg made a 15-second demonstration vide titled “We Love and Remember.” The video will appear on giant video screens on June 25-26 in St. Petersburg, Moscow, Orenburg, Orsk and other cities. They also made a 4-hour documentary “Michael Jackson. Best and Rare Videos” – a complication of the singer’s live shows and home videos. The fans collected their own funds to rent nine giant screens in the center of Moscow, near popular shopping malls, on Pushkin Square and other places. His songs and videos will be played in Moscow music stores and in European Shopping Mall. However, officials working at the US embassy in Moscow did not let the Russian fans gather near the building, having referred to complicated work schedule. The fans were going to gather near the building to light candles in memory of the singer. Los Angeles-based fans offered everyone else to light candles in memory of their idol. The final event on June 25, the day of Michael Jackson’s memory, will take place in Moscow at night, in front of Kosmos movie theater. The theater will show the above-mentioned fan-made film of the singer’s rare videos. Prior to the screening, the fans will gather on the square outside the theater and will hold their hands in circle when listening to Michael’s song Cry. They will make a heart of candles in the center of the circle.